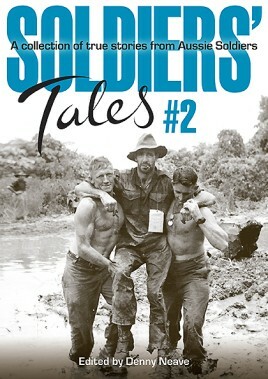 Soldiers' Tales #2 is a unique collection of personal accounts told by soldiers or relatives who have lived with their stories. Spanning the period from World War I through to the conflicts of the modern era, these stories are a mixture of the humorous and the intensely emotional. This collection is unmistakably Australian and is a combination of larrikin yarns and other more serious stories that tell of tragedy and often unspoken pain. Denny Neave lives in Sydney. His family's military history began with his Great Great Uncle Ted Hawkins who served in the Crimean war, the Boer War and WWI. His Great Grand Father, John Lingard Neave, served in the navy during WWI and Grand Father John Lingard Neave the second, served with the Militia in New Guinea. Denny’s father Colin Neave was a professional soldier who joined the Infantry Corps and served in almost all of the Royal Australian Regiments. He saw active service in Malaya and Vietnam before retiring as a Sergeant after 20 years service.Growing up in a military environment and seeing the professionalism of his father was the driving inspiration for Denny to continue the long family history of military service. Denny enlisted in the Army Reserve Infantry Corps in 1989 and completed Officer Training QUR. He has served for over 25 years. Denny has authored three military titles and produced a Military History Documentry.